As the tradition passed from one generation to the next, the stitching began to showcase brilliant geometric patterns and shapes. 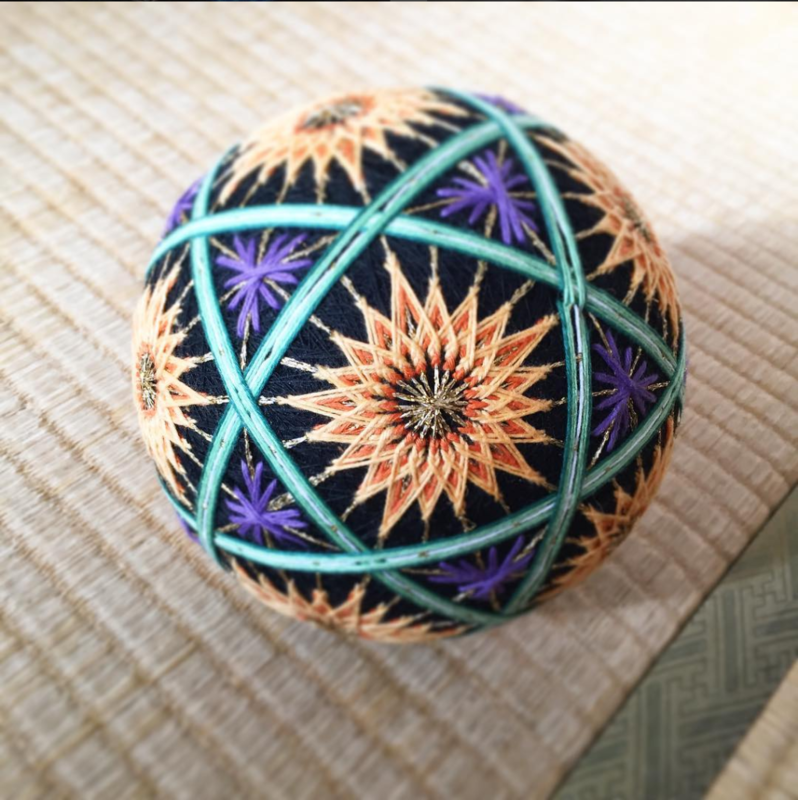 Recognizing the beauty of this craft, many Japanese aristocratic women engaged in temari embroidering competitions. 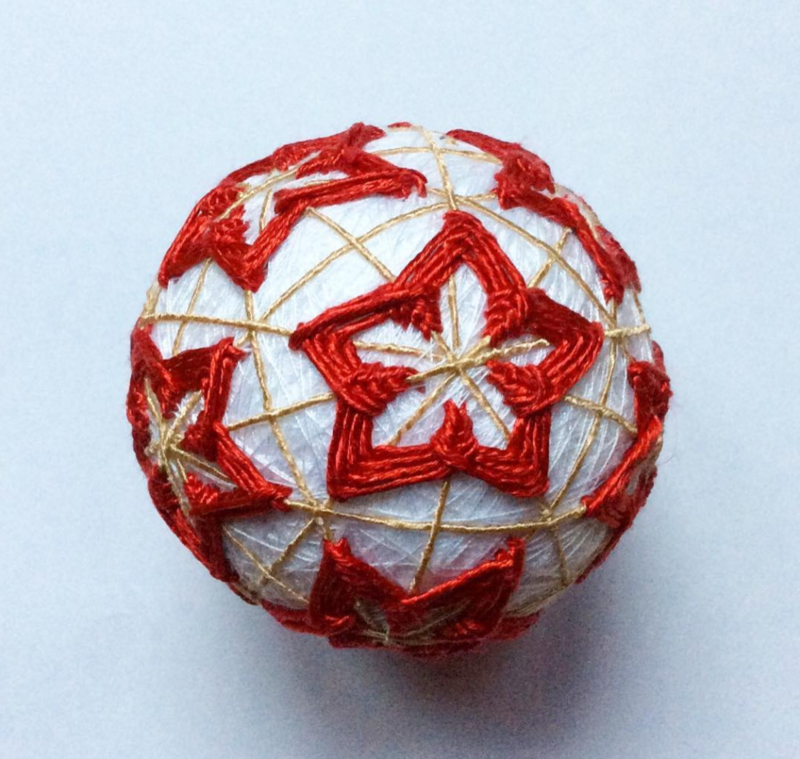 From its humble beginnings as children’s toys, temari balls became a token to cherish and a craft to respect. 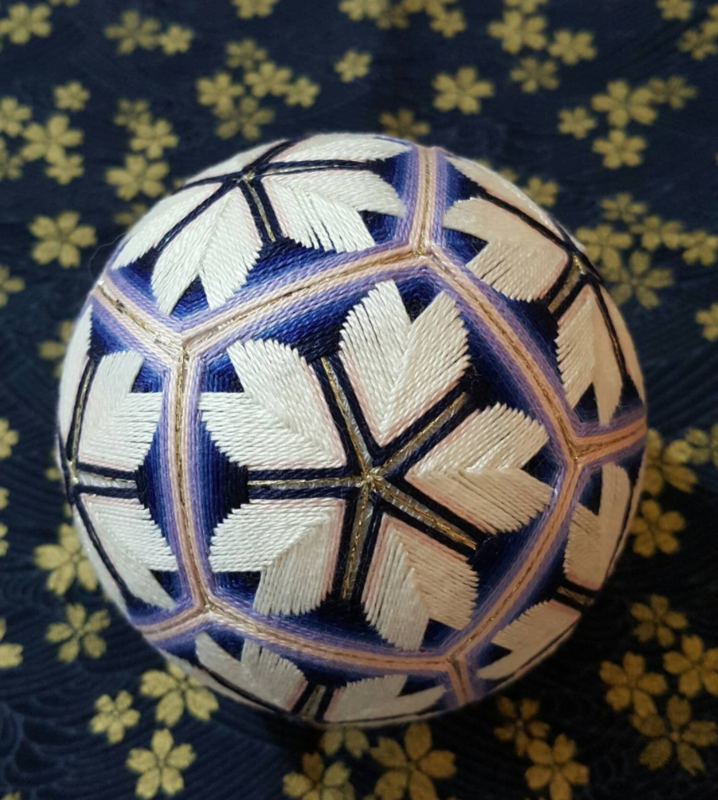 Becoming a true temari master takes infinite patience, as crafters are thoroughly tested on techniques and skills. 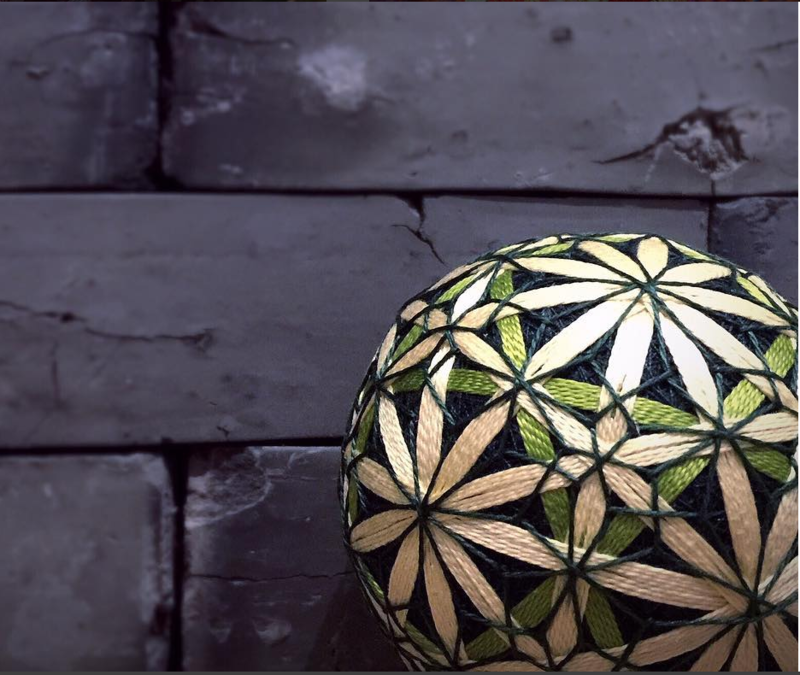 While the learning process can be painstaking, the vibrancy and individuality of each design truly reflects the passion each artist has for temari. 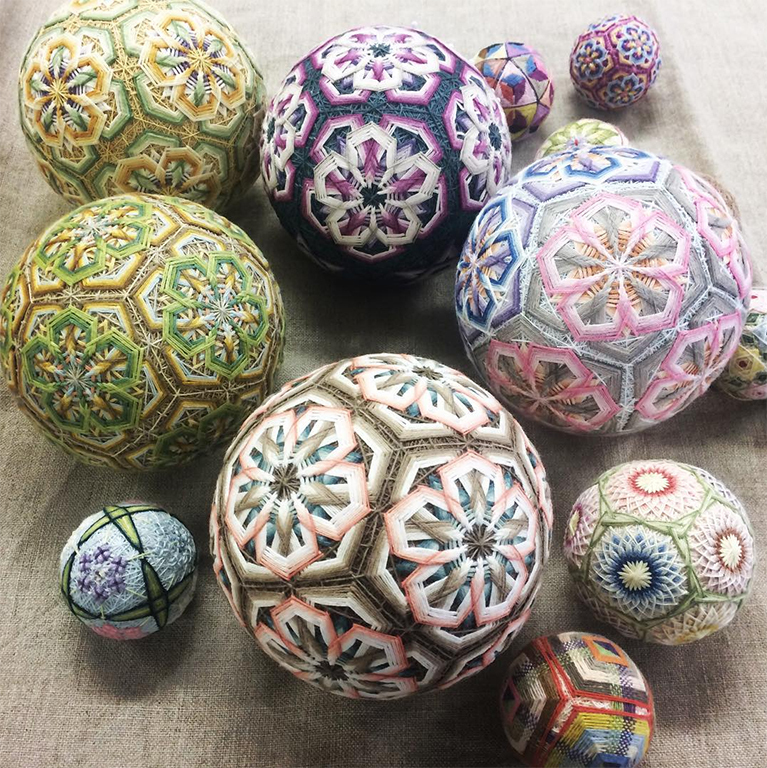 In recent years, these brightly colored balls have picked up popularity due to the mesmerizing designs and impressive skills needed to perform the craft. 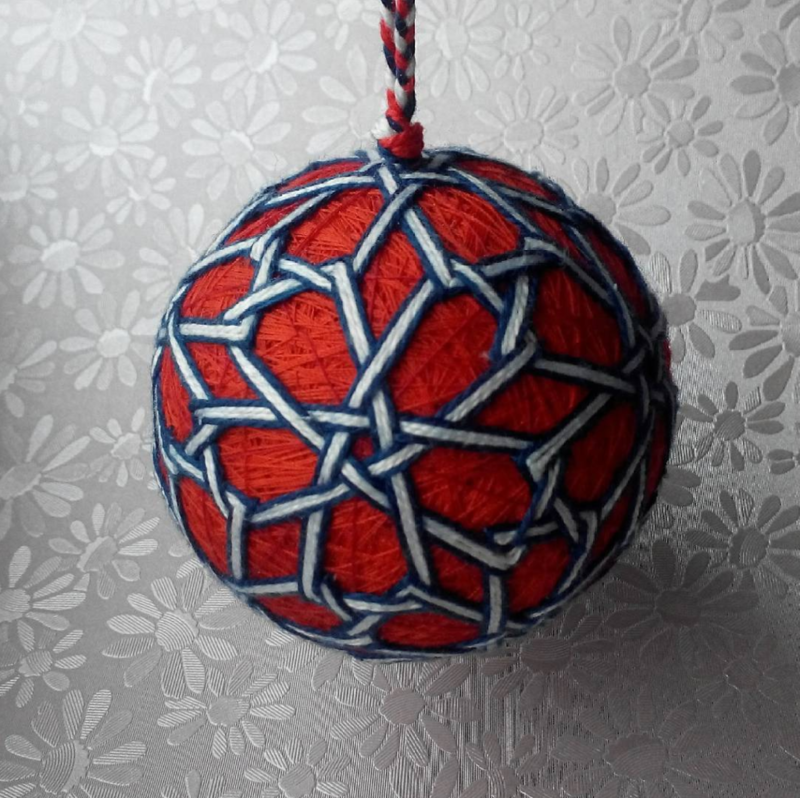 Not only does this needlework demand dexterity and a keen sense of design—the overall beauty of the ball depends heavily on thread color choice and symmetry. 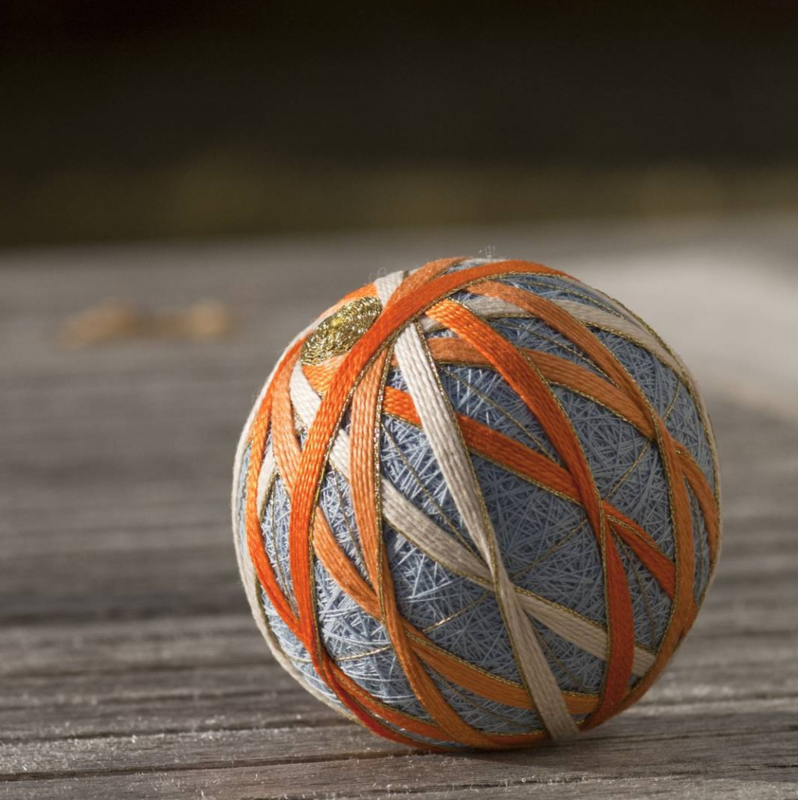 While certain designs are simpler than others, all begin with an inner core that is carefully wrapped with thread or fabric. Once a sturdy base is built, the needlework begins. 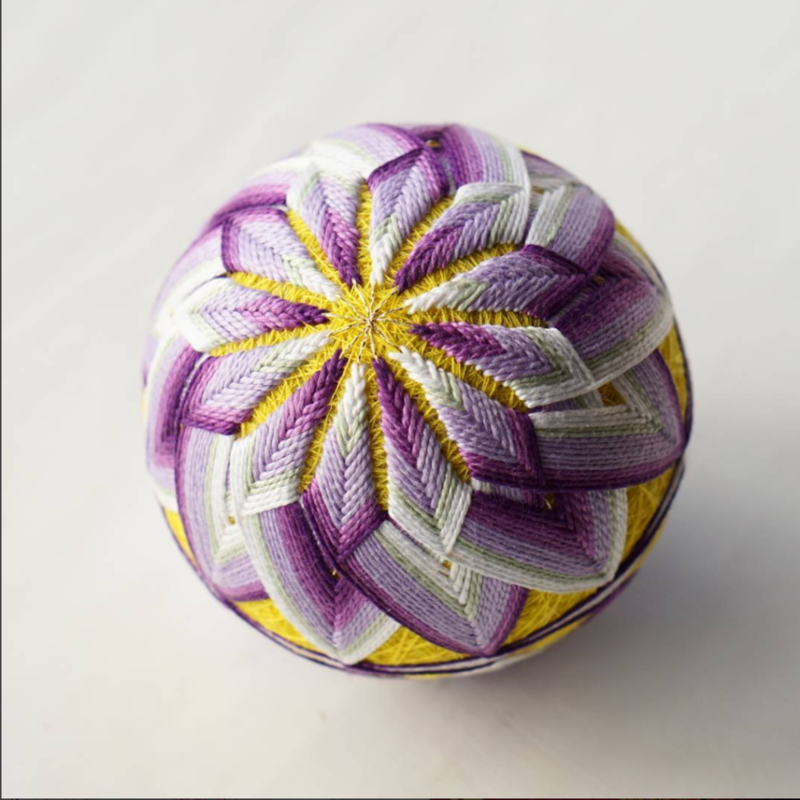 Practitioners choose a pattern and stitch layer after layer, slowly building the satisfying symmetrical look of each temari ball. 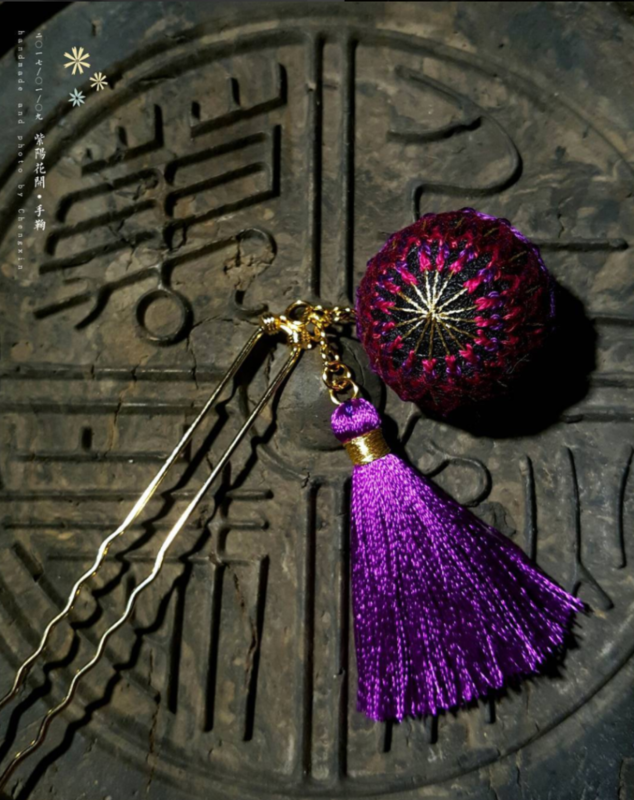 Traditional balls have tinkling bells or rice grains at the core to delight its owner when rolled. 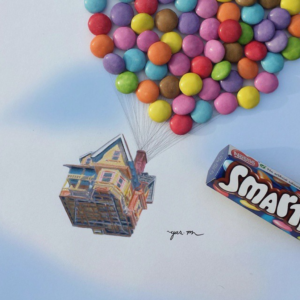 Oftentimes, touching handwritten notes are placed inside to give it a personal touch. 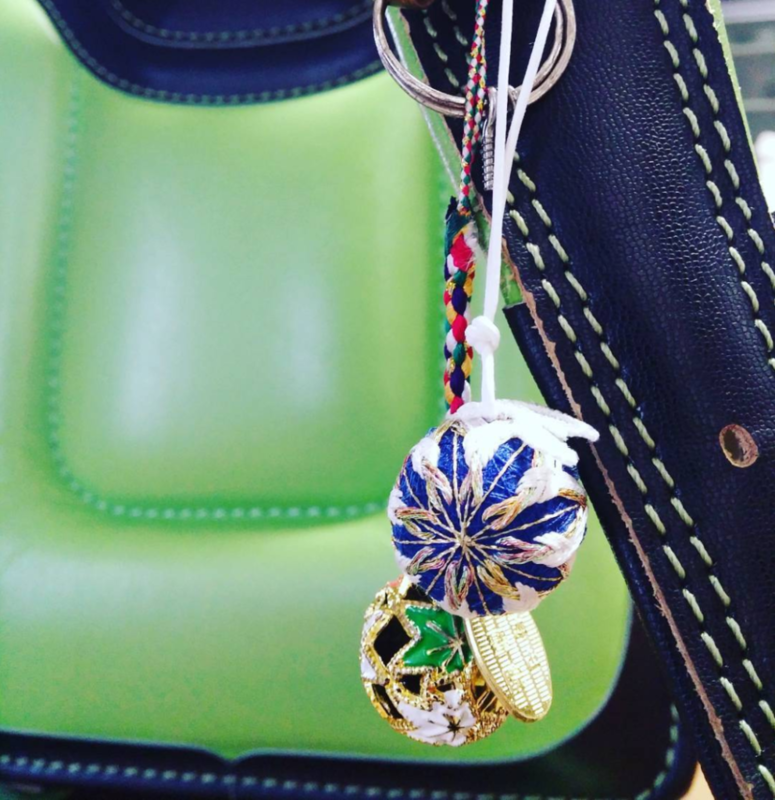 It’s no surprise these handmade treasures are given as gifts to symbolize loyalty and heartfelt friendship. 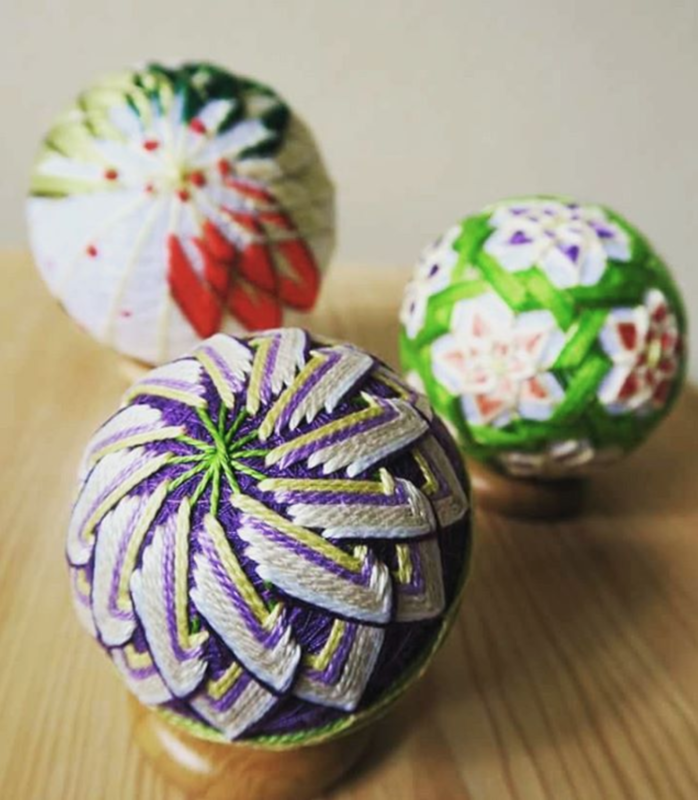 Unique temari ball designs, such as these beautiful hairpins and tote decorations, reflect a new wave of creative needleworkers. 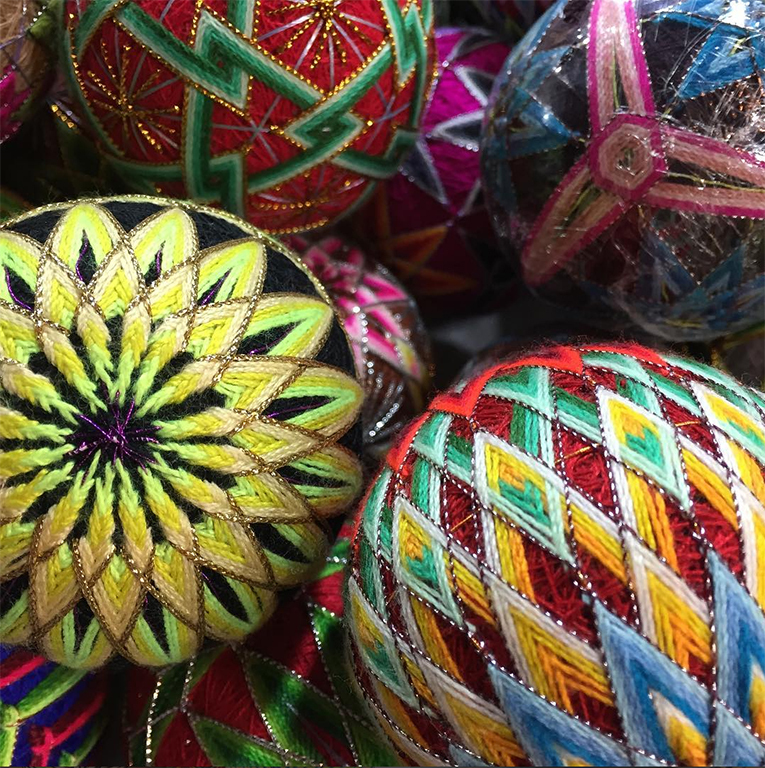 Color is a powerful tool of temari—these handcrafted patterns show an incredible attention to detail. 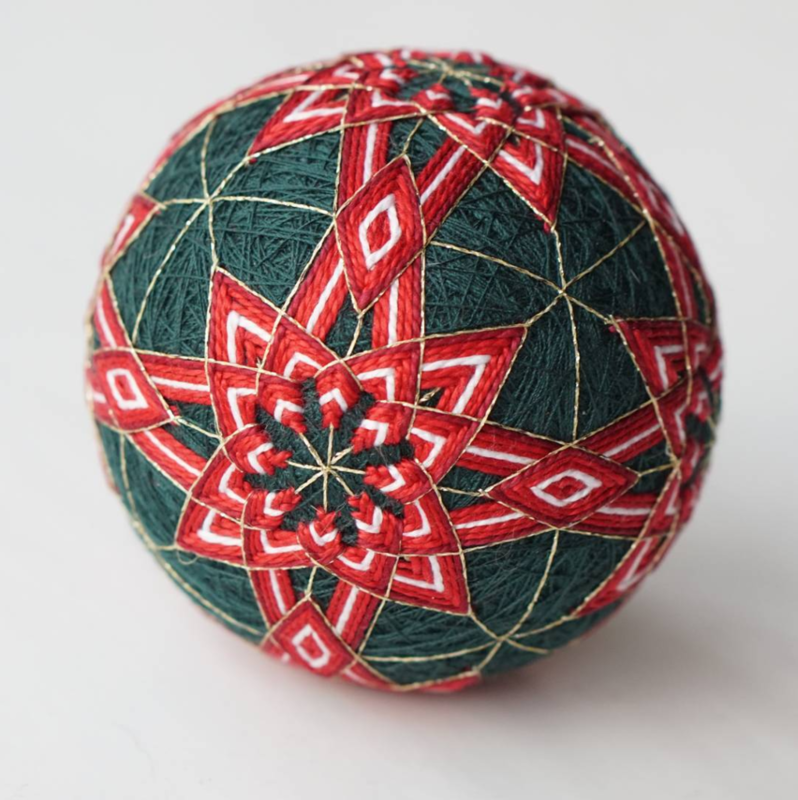 From star designs to nature-inspired shapes, temari balls highlight complex needlework. 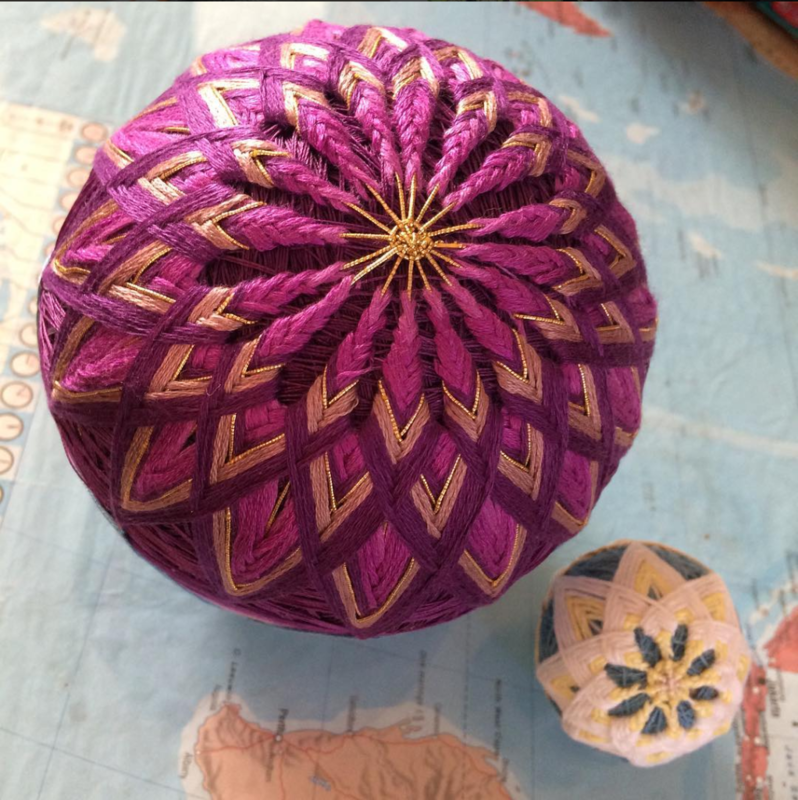 Temari reached its height in Japan, but crafters today practice this ancient art across the globe. 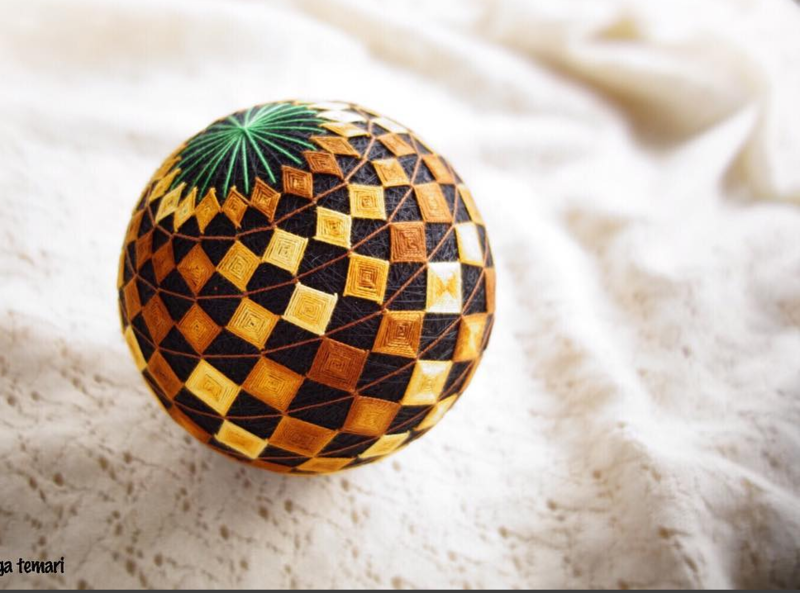 Wondering why temari art has lasted centuries? 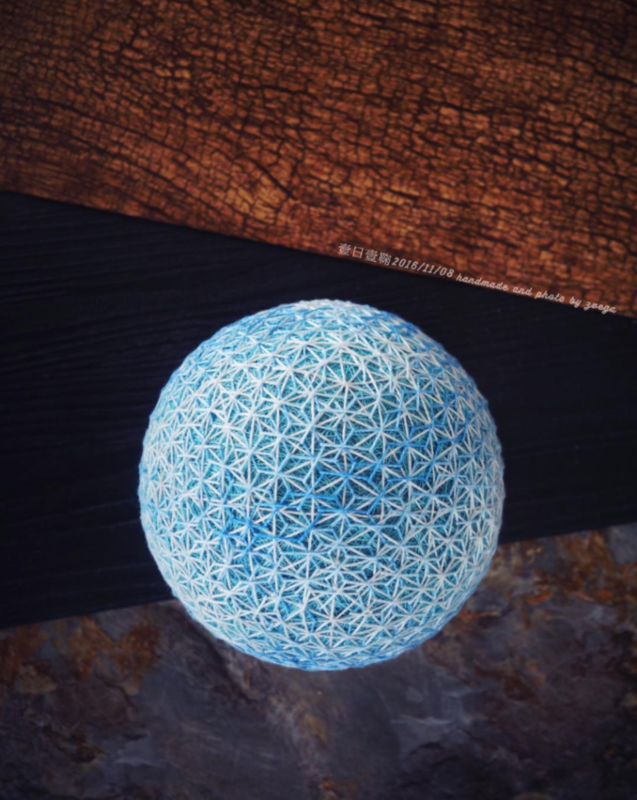 The materials you need to create beautiful designs are simple and found in many parts of the world. 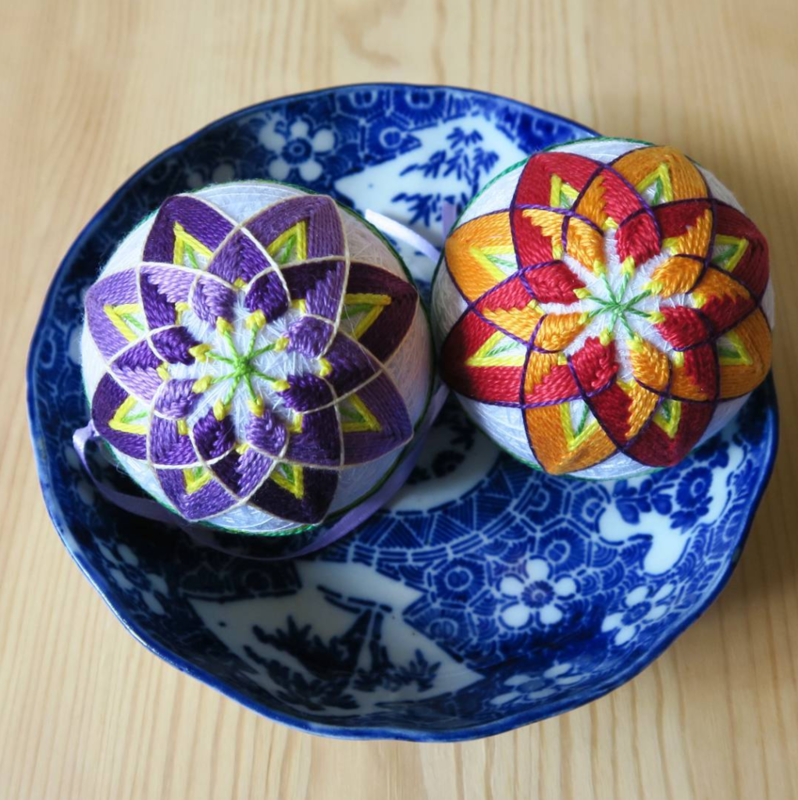 Like other needlework art, temari designs are based on a core group of patterns and stitches. 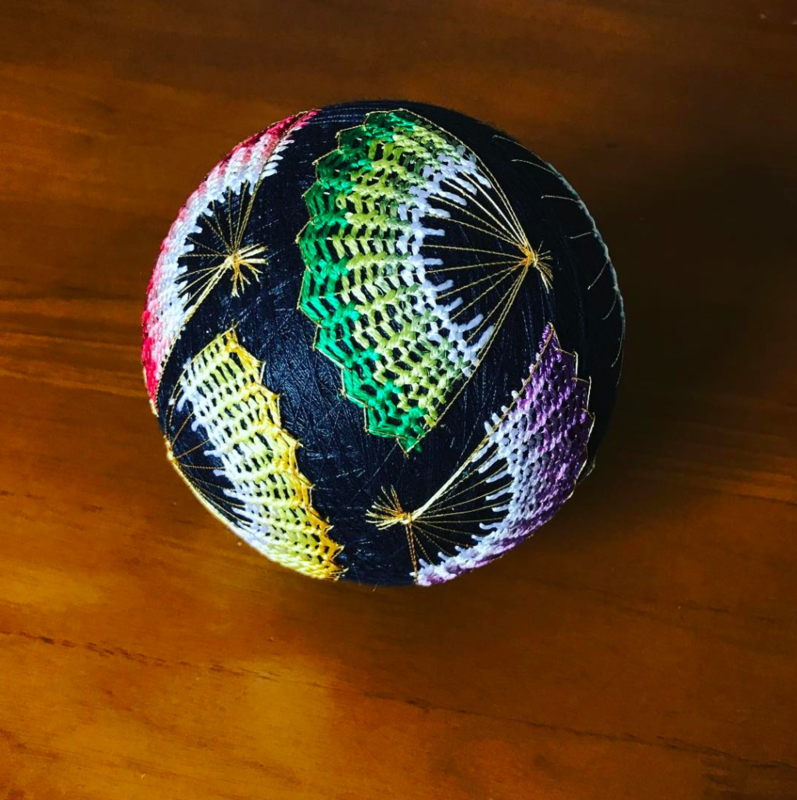 An “all-over-design” covers the entire surface of the ball, while a basket design is created with a very specific thread wrapping pattern. One of the most popular designs, kiku, resembles a chrysanthemum flower. 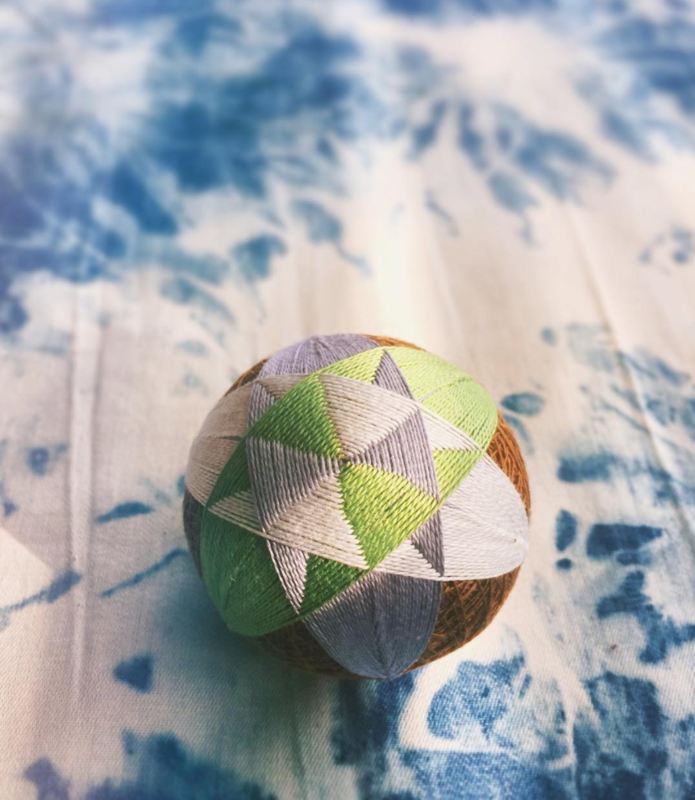 This pattern is stitched from the center out to create a lovely layered look. 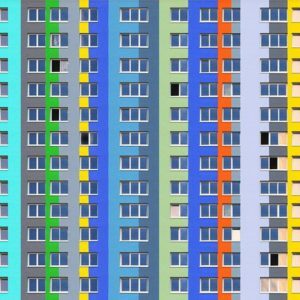 Another common pattern is the combination division, which can be divided into 8, 10 or 12 geometric paths. 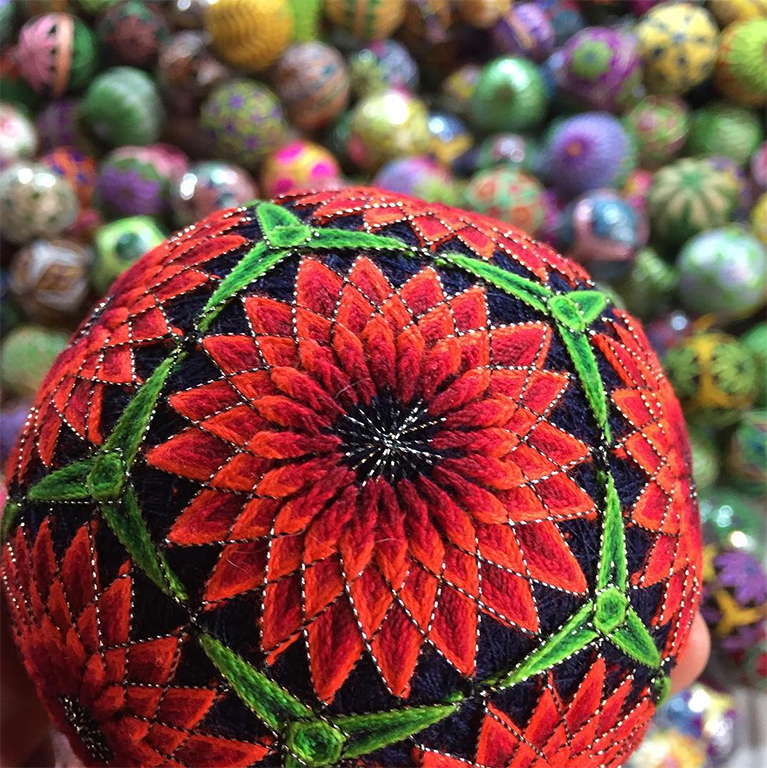 Whether you’re a needlework wonder or have never sewn a stitch, it’s easy to appreciate the delicate beauty of temari ball art.